Indirect Participants within Time, Space and Perennial Philosophy’s Great Conversation (in the order mentioned and illustrated): Titus Lucretius, Giambattista Vico, Renè Descartes, Edward Said, Noam Chomsky, Ernesto Grassi, Hans-Georg Gadamer, Martin Buber, Ludwig Wittgenstein, Benedetto Croce, Ferdinand de Saussurre, Friedrich Humboldt, R.G. Collingwood, Edward Sapir. Section 2: “Aesthetics as Linguistics and Art as language” A presentation by Ernesto Paolozzi as translated from his book L’estetica di Benedetto Croce. Section 4: An announcement of Ernesto Paolozzi’s latest essay on Croce’s thought recently published in The Philosophical Bulletin of the University of Calabria (Vol. XXVIII, 2013), an issue dedicated to the commemoration of Croce’s philosophy, soon to appear in its English translation in the Ovi Symposium. As indicated above in the table of content the thematic of this 15th session of the Ovi Symposium is “The Nexus between Language and Art.” This theme, already broached in the previous session, is further explored, deepened and elucidated. Vico as well as Croce, who had a great affinity for Vico’s thought and was in fact largely inspired by it, considered language the horizon encompassing the expression of the poetical in all genuine works of art. They also held that when the poetical is missing so is genuine art. It’s worth pointing out that these Ovi symposium discussions on aesthetics take place via written language which is a symbolic system of communication, and are carried on not only among its direct participants but also among some of the innumerable philosophers of past ages who for more than two millennia have had pride of place in the pantheon of the Western philosophical patrimony. Indeed, the reason why philosophy remains a fascinating subject is that it transcends a compilation of dry boring school notes or sterile theories devoid of practice to be studied and reviewed for a college exam; it is rather a fascinating, vibrant, passionate and extremely interesting conversation spanning some 25 centuries, beginning in ancient Greece five centuries B.C. That “great conversation” will undoubtedly remain an on-going one as long as man remains a rational being capable of reflection and with the ability to imagine and to carry out an intrepid and adventurous journey of self-discovery. For example, in this issue of the Ovi symposium, in order for us to explore Vico and Croce’s philosophical linguistics and their relationship to art we have mentioned, in order of appearance, Titus Lucretius, René Descartes, Edward Said, Noam Chomsky, Ernesto Grassi, Hans-George Gadamer, Martin Buber, Ludwig Wittgenstein, Ferdinand de Saussurre, Wilhelm von Humboldt, R.G. Collingwood, Edward Sapir, Alan Sica. They are all in some way indirect participants in the conversation on the nexus between language and art, and as such they too are part of the Ovi symposium, not to speak of the conversation between Vico and Croce themselves, two Southern Italian philosophers that although two centuries apart, are inextricably linked by their common ideas and philosophical vision. We can therefore surmise that this symposium which is by now a few months old, currently can list hundreds of indirect participants as well as hundreds of readers. One hopes that those same readers may eventually be motivated to join the “great conversation” in some fashion or other. It would be a distortion to consider the symposium an exclusive elitist club for philosophy experts only. It would in fact be a distortion of what philosophy is all about. Come to think of it, the invitation has actually been tendered some 24 centuries ago since Socrates’ open-ended conversations in Athens’ agora and Plato’s writing of the dialogues, which are also conversations; in fact our modern technological means of communication, not to speak of our concept of free unfettered speech, make it even more feasible nowadays for any interested individual to accept that invitation personally thus becoming part of the ongoing perennial “great conversation.” I dare say that such is the Ovi symposium’s all encompassing educational vision. It should also be pointed out that the function of the preamble by the symposium’s coordinator is not only that of announcing the theme of the conversation for that particular session but it is also conceived as a guide for the readers to navigate the intricate threads of the issues examined within the larger all- encompassing framework of aesthetics. More specifically on this session, at the outset, in section one, Paparella offers a notion of Vico’s understanding of language vis a vis art and symbols (spanning three centuries: from the 18th century’s Vichian opposition to Cartesian rationalism culminating into 21st century hermeneutics) which in turn creates the human world, a world of symbols, interpretations (hermeneutics) and meanings, a world made by man, tied to both history and art; the only world he can fully hope to understand because he himself made it. Given this session’s focus on linguistics, this time around the order of appearance of the presentations was construed around a thematic criterion rather than a purely historical chronological one. That explains why Paparella’s presentation is placed in section one disregarding also the previous alphabetical order by contributor’s last names. It belongs there because it returns to the very primordial springs of hermeneutics (all the way back to Lucretius in fact) to be logically followed in section two by Ernesto Paolozzi’s report on Croce’s understanding of aesthetics as linguistics, and vice-versa art as language, an understanding which itself builds and expands on Vico’s insight on the nexus between language and the poetical as integral part of the intelligible rational world of man. In section three Paparella proffers a pertinent comment on Paolozzi’s lucid presentation stressing the inextricable nexus between Vico and Croce’s thought on the crucial issue of the poetical in art. The reader must surely be aware by now that the symposium eschews lists based on a purely chronological historical order for their own sake; for such an operation runs the danger of becoming mere boring academic pedantry. What is urgently needed, rather, is a summoning of the human imagination (Vico’s fantasia) as integral part of the rational and what it means to be human, for it is imagination that allows us to discern the holistic and the universal within a particular historical process. Finally, in section four we have an announcement of a forthcoming Ovi symposium presentation by Ernesto Paolozzi by way of an essay which has already been published in Italian in the issue of Philosophical Bulletin (Vol. 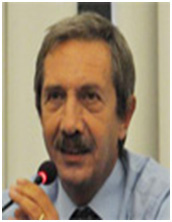 XXVIII, 2013) of the University of Calabria, an issue dedicated in its entirety to the memory of Croce. We have reproduced here the entire list of contributors and the title of their contributions. Paolozzi’s essay will appear in the near future in the Symposium in its English translation; its title is “Benedetto Croce and the Re-evaluation of the Complexity of Science.” It is indeed encouraging to notice that whole issues of academic journals’ are being dedicated to the commemoration of Croce’s thought; undoubtedly this is a good omen and bodes well for a vibrant renewal of Croce’s vision and thought in the 21st century. Vico rejects the Cartesian paradigm for the apprehension of reality. The reason is that, in stressing rationalism, it fails to criticize itself in order to return to the springs of reason. Thus rationalism is unable to acknowledge that fantasia, which is to say, imagination, intuition and other non-rational factors play an important role in the creation of the human world. Vico asserts that it is language, rather than “clear and distinct ideas,” that provides the most important documentation for the epistemological relationship between man and his world. This relationship of the mind with the external world is imaginative, sensuous and even emotional. It is there, within language that one may hope to discover the genesis (dubbed by Vico nascimento) of institutions and human development. Vico informs us that most of his literary career has been devoted to pondering and researching how primitive man thought and spoke. From these reflections Vico derived his “poetic logic” defined as the master key of his New Science. That key is “…the fact that the early gentile people, by a demonstrated necessity of nature, were poets who spoke in poetic characters” (SN, 34). He is able to recreate this primordial poetic phase of language by focusing on its dynamic, rather than its mere functional communicative aspects where the connection between signifier (form) and signified (content) remains an arbitrary one. For Vico verum factum convertuntur, i.e., content and form are convertible. As Edward Said explains it: “Vico…associates intelligence with a kind of escape-and-rescue operation, by which the mind gathers and holds on to something that does not fall under the senses, even though that ‘something’ could not come into being without the body and sense experience (From “Vico and the Discipline of Bodies and Texts” in Modern Language Notes, 1976, p.823). For us modern men, the recapturing of this mode of thinking is problematic and lies in the fact that for us a mediating reason necessarily alters it. Lucretius in his De Rerum Natura, intimates a pre-logical phase of language; a language originating naturally, within feelings. Vico however goes further and postulates three eras: the era of the gods, the era of the heroes, and the era of men (SN, 31). To these three eras (which may be phenomenological and epistemological as well as chronological) he assigns three specific phases of language: (1) a mute phase characterized by body or sign language, (2) a spoken phase characterized by heroic emblems, similes, comparisons, images, metaphors, (3) a human language characterized by words agreed upon by the people (SN, 32). In the first two eras the language is expressive and poetic; here acts and objects have a natural relation to the ideas they are meant to signify. The primitive men who made these poetic signs were poets (in Greek the word “to create” is poein). Behind the linguistic sign there is a real image. In fact, at its very origins the sign and the image are one. This is not easy for us to imagine because our linguistic signs do not, as a rule, evoke an image. We abstract things and their qualities out of existence and create notions to which the linguistic sign then attributes existence. But at the origins of language, the image signifies and is assumed to signify universally what it is: the “poetic universal” objectifies a section of experience into permanent significance. This still obtains for us in art where the singularity of the object “signifies,” i.e., it has autonomous value by itself but it is also universal. But even here we need to return to cave painting to better understand how the bull is not a mere representation, or for that matter, and aesthetic thing of beauty, or an abstract essence, rather it is a sign, a gestalt, a presence of the life force incarnated in the bull. Here, much better than in our modern art, one can perceive the dynamic power and vitality of life in act, something that is not accessible to reflection and analysis. What are the hermeneutical implications of Vico’s linguistic speculation? Vico is the first linguist to point out that language is performatory in nature, i.e., at its most fundamental level it is intrinsically related to what it signifies. The specifically historical way in which he understands this performatory function of language is seen in this fundamental principle of the New Science: “The nature of institutions is nothing but their coming into being (nascimento) at certain times and in certain guises” (SN, 147). For Vico the nature of things is the verum or the content; the guise or mode of being is the certum or the form. And of course, one of the first things that comes into being in a special mode at a particular time is language. Vico is usually accorded little credit for the above described hermeneutics: the idea that understanding comes through language, that is, through the form of a literary or philosophical or even scientific work. One of the notable exceptions to this neglect is Hans-Georg Gadamer who in many ways introduces hermeneutics to the modern philosophical world building on Vico (see his book Truth and Method) explaining that the form pointing to a subject matter (the content) is already in itself an initial interpretation of the subject matter. Therefore, in order to understand the nature of language, one does not try to penetrate to the thought which Descartes assumed standing behind language. Rather, as Martin Buber aptly puts it: “The encounter with any of man’s works, especially those done through language, remains intrinsically historical.” The link of language to history is “poetic wisdom” proper, transcending the dichotomy subject/object. On the other hand, Cartesian objectivity ends up reducing a “work” to a mere “object.” With such an operation, the language event cannot possibly seize and transform the reader. Being preoccupied with analysis, one will invariably neglect to listen to what is being spoken in the words and, most importantly, what is being left unsaid. In short, the work will not speak. How can it, since it has been reduced to an object, an it preventing any kind of I-Thou relationship with the reader. The other modern linguistic philosopher who saw the above mentioned flaw of traditional Western philosopher is Ludwig Wittgenstein (1889-1951). In his Tractatus Logico Philosophicus and Philosophical Investigations, not unlike Vico and Croce, he provided new relevant insights into the relation between world, thought and language. Indeed, the being that happens in language is not the product of a reflective activity of the mind. Man’s relationship to language and history cannot be one of “using” them but rather, one of “participating” in them. This is also an Heideggerian theme which might have appeared original with Heidegger but not to the likes of Croce who knew Vico inside-out. Nevertheless, In the presentation of contemporary histories, the readers rarely get an invitation to participate actively in language as another man standing within a world made by language. What they end up getting nowadays, especially from academic experts, is literary and “distinct” explanations of events looked upon as objects. A whole semester may be spent on literary analysis while the text itself will go unread and thus the student rarely discerns that a great literary work is truly an historical experience in the sense that understanding stands in a specific place in time and space. If art is intuition, and if intuition is always expression, then art is language. This conclusion to which Croce arrives and to which he returns in all his conclusions, beginning with his book titled Aesthetics as Science of Expression and General Linguistic, is of utmost importance, even if not always easily understood. As Croce puts it: “Aesthetics as science of expression has been studied by me under every aspect. Nevertheless, it still behooves me to justify its sub-title of General Linguistic which I have added to its title and propose and clarify the thesis that the science of art and that of language, i.e., Aesthetics and Linguistics, as true sciences, are not two distinct sciences but only one science (Estetica come scienza dell’espressione e linguistic generale, p. 161, 1902). Linguists and glottologists with philosophical talent who have best deepened the issues of linguistics, are in the condition of a workers in a tunnel (to use an abuse but effective image): at a certain point they need to be able to hear the voice of their fellow workers, i.e., the philosophers of Aethetics, which have begun on the other side, a certain grade of scientific elaboration, linguistics, in as much as it is philosophy, it must join with aesthetics; a joining that in fact leaves no residues” (Estetica, 1935, p. 71). Thus ends one of the most celebrated philosophy books of the 20th century, a book that is loved and hated, discussed or despised, a book which has influenced generations upon generations of scholars, not only within philosophy, but perhaps even more in literary, musical, artistic criticism. A book which reveals tracts of extreme modernity, as well as some residue of 19th century philosophy. But throughout its theme, one can always detect the preoccupation of conferring to art an autonomous value which is due to it within the intricate journey of life. Which is the equivalent of declaring art’s absolute freedom. Thank you you again Ernesto for this informative and lucid excursus on the nexus between language and the poetical in Croce’s thought. It better brings to the fore, in my opinion, the astonishing affinity between Croce’s and Vico’s thought on the issue of the poetical within language and imagination as integral part of the rational. That this is so is fully confirmed by the fact that, as you well know, the first propagandist and disseminator of Vico’s thought in Italy was none other than Croce himself. As you know, in 1910, in his mid-forties, Croce wrote a book on Vico titled La filosofia di Giambattista Vico which was promptly translated into English by R.G. Collingwood in 1913 and has since reappeared in a modern edition in America in 2002 (Alan Sica, professor at Pennsylvania University, being its editor and introducer). In the preface to the book as translated by Collingwood (who believed that the historian’s picture of the poet is always an imaginary picture), Croce laments the unfortunate neglect of Vico in Italy, a fate that he himself would suffer after his death in 1952, and writes this revealing, almost prophetic passage: “I hope, in fact, that the present work will rekindle rather than quench the discussion of Vico’s philosophy: since in him we have, as Goethe calls him, the Altvater whom a nation is happy to possess, and to him we must hark back for a time in order to imbue our modern philosophy with an Italian feeling….” Indeed, there are still two such not fully appreciated Altvaters in Italy nowadays. What is urgently needed is to hark back to both Vico and Croce and through them rediscover the living springs of a neglected humanistic tradition. The Ovi Symposium is delighted to announce the publication of Ernesto Paolozzi’s latest essay on Croce in The Philosophical Bulletin of the University of Calabria. This important essay on Croce vis a vis science and positivism will soon be translated and published in the Symposium. That whole issues of academic philosophical journals are now dedicated to the memory of Benedetto Croce is a very encouraging sign of the successful revival of Croce’s thought in the 21st century which is the lofty aim of Paolozzi’s scholarly efforts. To Professor Paolozzi and the other distinguished international collaborators mentioned in the bulletin (see below) goes much of the credit for this sterling intellectual success. Ad majorem. For the moment we’ll merely identify the titles of all the essay as found in summary of The Philosophical Bulletin with Paolozzi’s essay emphasized; we have also included a few words on the identity of the journal. We trust that this announcement will give the readers a preliminary idea of the vastness of the horizon of Croce’s thought. The specific title of Paolozzi’s essay is “Benedetto Croce and the Re-evaluation of Science’s Complexity.” Stay tuned for its translation and publishing in English in the next symposium’s session. The Philosophical Bulletin is a philosophical magazine subject to peer review, founded in 1978 at the Department of Philosophy, the University of Calabria, now the Department of Humanities. It provides a forum for theoretical and historiographical Italian and foreign scholars engaged in the most important questions of philosophical research. Over the years, The Philosophical Bulletin has paid, and pays great attention to the emerging themes of contemporary philosophical debate, publishing essays that explore a number of thematic areas, such as ontology and epistemology, ethics and social sciences, aesthetic and religious thought, phenomenology and hermeneutics, neo-idealism, German and Italian philosophy, Kantianism and Marxism, the history of modern scientific thought and contemporary philosophy of language, semiotics, culture and language of cinema and entertainment. «Leggere Dante “da solo a solo”». Note in margine a La poesia di Dante. Filosofia dell'economia e scienza dell'economia. Intorno ad alcune pagine crociane di "Filosofia della pratica"
Croce. Oltre la "Metafisica della mente". La filosofia come "storicismo assoluto"